Story - 1: A complete and utter waste of time. If you bought the book because Superman was on the cover, I feel your pain, as Superman never appears in this issue. 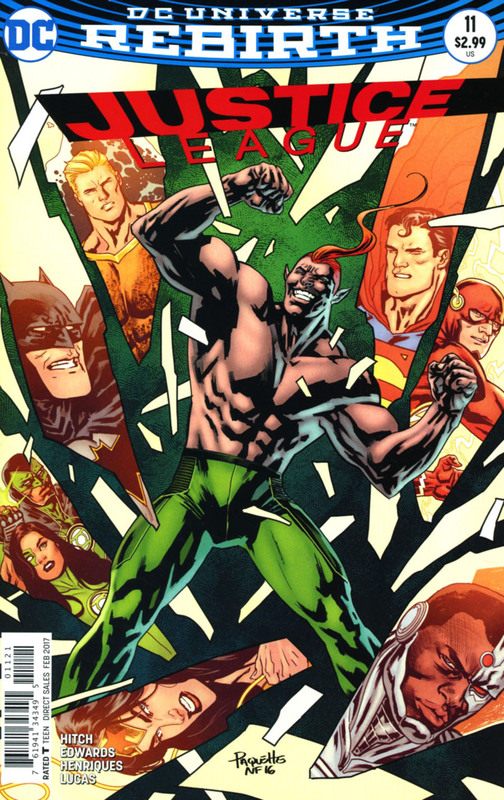 One would think that if the League has to contend with so many villains, with the addition of Amazo, the story should be pulse-pounding, wall to wall, action-packed, Pee Wee! No. No! Instead we have an uninspired send-up and a groan inducing ending. 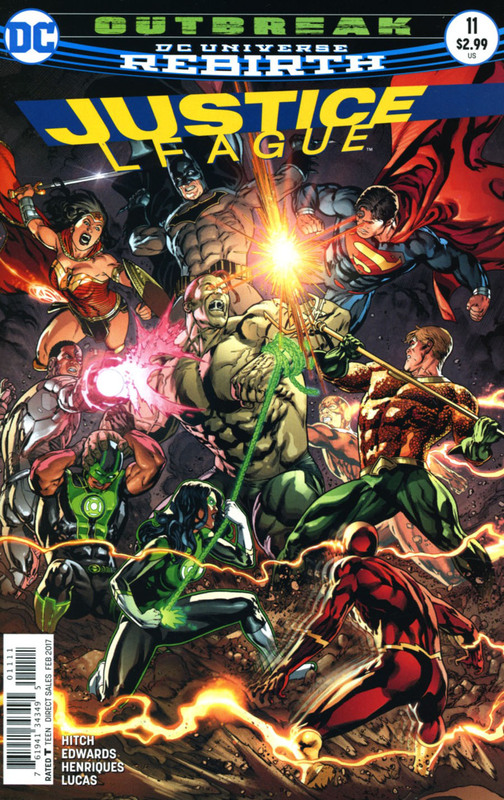 There is something just off about Justice League and I'm at a loss as to what it is. The faster schedule, Hitch's challenges as a writer, the two year plan that DC is under - whatever it may be, Justice League has fallen prey to it, after such a promising start. There is obviously someone enjoying these stories, as sales are healthy, but who and why are questions that I would love to have answered; the clarity may provide some much needed insight into what has become a Herculean labour to understand, let alone enjoy. Art - 4: There pages that pop and panels that flash very well, as despite the plot, action is action. Cover Art - 5: It's really a four, but more to see Wonder Woman actually use her lasso, instead of waving that fool sword around.